Success doesn’t just happen overnight. It takes a lot of perseverance, work, and even failure to achieve your goals in life. 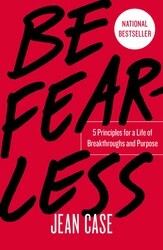 Jean Case, author of BE FEARLESS, shares the 5 principles on how to achieve success. #1. Make a Big Bet. #2. Be bold, take risks. Have the guts to try new, unproven things and the rigor to continue experimenting. Risk taking is not a blind leap off a cliff but a lengthy process of trial and error. And it doesn’t end with the launch of a product or the start of a movement. You need to be will ing to risk the next big idea, even if it means upsetting your own status quo. #4. Reach beyond your bubble. #5. Let urgency conquer fear. These five principles can be summarized in two words: Be Fearless. Taken together, they form a road map for effective change-making for people from all walks of life, but it’s important to note that they aren’t “rules.” They don’t always work in tandem or sequentially, and none is more important than another. Think of them as a set of markers that can help identify when decisions are being made fearlessly. 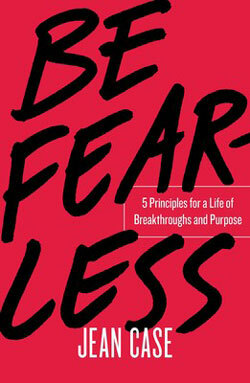 Discover more secrets on how to succeed in BE FEARLESS by Jean Case! Excerpted from Be Fearless by Jean Case. Copyright © 2019 by author. Used by permission of the publisher. All rights reserved.